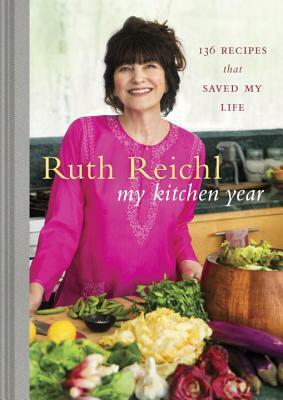 Ruth Reichl has created a beautiful and warm book that is part memoir / part cookbook covering the year that followed the close of Gourmet magazine where Reichl served as Editor in Chief. To deal with her sudden loss of a job, she turned to the comfort of coming and journaling. Through the four seasons you'll discover how the simple preparation of seasonal ingredients can please the palate and heal the soul. Part cookbook, part memoir, part paean to the household gods, My Kitchen Year may be Ruth Reichl’s most stirring book yet—one that reveals a refreshingly vulnerable side of the world's most famous food editor as she shares treasured recipes to be returned to again and again and again.